I've got a very busy weekend ahead of me and I hope that you do too, because being bored in Long Beach is practically a crime. At least a citation of some kind. Photo above by Brian Addison. Photo below courtesy of Brixton. 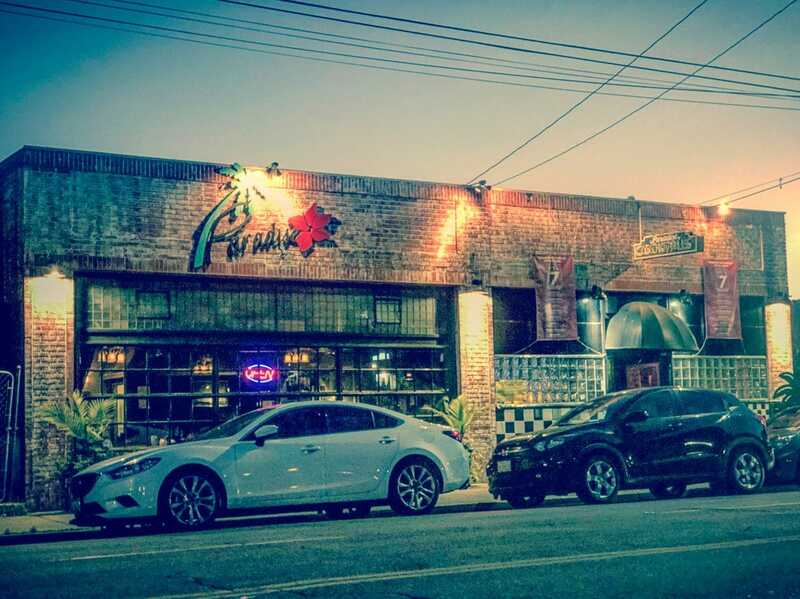 Longtime queer bar and restaurant Paradise Bar & Restaurant—a staple in Long Beach’s gayborhood within the Broadway Corridor—will shut its doors in April after serving the LGBTQ community for over three decades. Owned by real estate agent and Falcon bar owner Michael Barber [who has yet to return comment for this story], Paradise has been providing a safe haven for piano-loving queers since the 1980s, marking the eastern most end of the Broadway strip’s gay scene. The shift in ownership marks an introduction of a well-known pair of Angelenos to Long Beach. Bethany Black and Shannon McManus, owners of Black in Hollywood, are a pair of nighttime veterans in the bar scene in Los Angeles, with McManus having operated the famed Viper Room from 1993 to 1998, where Bethany also worked; following, they ran the Darkroom on Melrose. It wasn’t until 2013 that Black became their focus (bringing on skating photographer Atiba Jefferson on as an investor). The purchase of the Paradise space by Black, which also brings on famed skateboarder Heath Kirchart as a partner, raises eyebrows for two reasons: a well-known queer establishment in Long Beach isn’t being taken over by another bar—in the sense that it could become a sister bar to another Broadway joint a la Sweet Water and Broadway Bar—and that Black itself isn’t an LGBTQ establishment. This isn’t to say a change won’t be welcomed: Paradise has long suffered from a lack of patronage over the past five years, having long-lost its days where the bar was packed acting as a piano bar that garnered both older and younger gays alike. And given that Broadway, from a business perspective, is in dire need of investment, having someone like Jefferson could bring in something simultaneously unexpected and welcoming. But it is unclear if the pair will stick to their Black mantra, especially since they are taking over a space with a full kitchen—not just a bar. Add onto this the growing conversation surrounding the gentrification of Long Beach’s Gayborhood and you have yourself a potentially contentious situation. Jefferson admitted that Black itself was modeled after New York’s famed Max Fish, which opened in 1989, closed momentarily in 2010, and reopened to keep its constant presence of skaters, creatives, the Intelligentsia, and of course the varied assortment of grin-inducing derelicts. Any bar modeled after the Fish would be a welcomed addition to Long Beach—the question is whether the Gayborhood is the place for that kind of space. Either way, looking forward to unveiling the pair’s plans later next month, where they’ve said they would discuss details once the license is formally transferred. Paradise Bar & Restaurant is located at 1800 Broadway Ave.
Editor’s note: this article originally stated that Atiba Jefferson was an owner of Black when he was just an investor. Also, Heath Kirchart was originally omitted as a partner in the Long Beach venture.